Lung cancer is the most common type of cancer that affects both men and women in the United States. Although treatable, the prognosis is often poor by the time it is detected since the cancer is at advanced stages. However, greater awareness about lung cancer has prompted many people to go for regular screening in order to detect it in the early stages. In addition, awareness campaigns have also highlighted the risk of developing lung cancer with certain lifestyle habits. Lung cancer, like any cancer, may not be completely preventable in every person. But there are certain ways that you can drastically reduce your chances of developing this type of cancer. At the 2012 UICC World Cancer Congress, it was stated that as much as 50% of cancers could be prevented if people followed simple cancer prevention measures. This applies for all cancers, not only lung cancer. Most of us know the basics of cancer prevention. In fact many of these measures are common to disease prevention for a host of other cancers that are not associated with malignant growths. But we often do not practice the right lifestyle for reducing cancer risk. Remember that it is not about what you do once in a while. It is about how you live your life everyday. Here are some tips on the more common lifestyle measures that you can take for lung cancer prevention. Smoking is the single biggest risk factor in lung cancer. In fact it is considered as a cause of lung cancer and plays a very important role in the development of cancers in other parts of the body. While not every smoker will develop lung cancer, quitting tobacco smoking is the first and foremost preventative measure for lung cancer. The more cigarettes you smoke in a day and the longer the period you have been smoking increases the risk accordingly. Even if you quit smoking today, your risk will not be that of a person who never smoked. But it will drastically reduce the risk of developing lung cancer as well as other cancers. Tobacco smoke contains thousands of toxic chemicals, many of which are known to cause cancer (carcinogens). Even if you do not smoke yourself, inhaling cigarette smoke on a regular basis can also increase the risk of lung and other cancers. This secondhand smoke (passive smoking) is more common among adults and children who live with cigarette smokers. A number of different chemicals cause cancer (carcinogens) and may be in the environment. It is more common in heavy industrialized areas. While environmental agencies have many regulations in place to reduce toxic gases from being spewed into the air by factories and other industrial plants, it does not entirely reduce the risk. Even the burning of fossil fuels as is the case with car exhaust fumes can be risky particularly if you live close to a busy road or national highway. It is difficult to take simple measures to avoid environmental pollution. One of the only options is to remove to a less industrialized area. This may not be possible for every person. But if you have the opportunity then you should consider it as one way of preventing cancer. Also get involved with local environmental groups that monitor the levels of air pollution in your area. By being proactive you not only know how polluted the air in your neighborhood is but you can also participate in initiatives to clean up air pollution. You may be more likely to be exposed to carcinogens in your work environment. There are over 40 known work-related carcinogens and it is important to educate yourself about these chemicals. Although regulations are in place to ensure worker safety in many countries, you may be able to take additional precautions to limit your exposure. Substances like asbestos, arsenic, chrome and nickel are some of the more widely known carcinogens. Although any person may be exposed to the compounds, the greatest exposure is often work-related. If you are working in an environment with these substances, there will be a number of different safety measures in place to reduce your exposure to it. Follow the safety procedures exactly as directed. Do not take risks like removing your face mask or other protective gear even for a few minutes. Your employer has these safety measures in place for your benefit. Also speak to your doctor about your concerns. As a high risk individual, your doctor may want to screen you regularly so that treatment can be started as soon as possible if necessary. We all know the dangers of radiation in terms of cancer risk. Having previous radiation therapy, regular exposure to even low dose radiation in x-rays and working with radioactive material are high risk situations that only applies to a minority of people. But there is another danger even within the home. 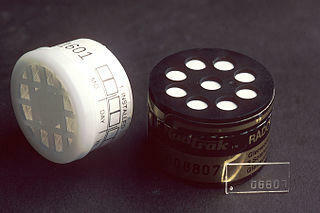 Radon is a radioactive gas that is released from soil due to the natural breakdown of uranium within it. Uranium is present in small quantities within soil, water and even rocks around your home but direct exposure is minimal. Radon gas can be dangerous and increase your risk of developing cancer. Since it is colorless and odorless, you would not even know that you are exposed to it. Small amounts of radon may not be a major problem but it can accumulate in buildings over time and reach dangerous levels. Fortunately greater awareness about the dangers of radon gas has made people more proactive. Radon testing kits are now available that will allow you to check your home or office. If unsafe levels are detected, you need to inform your doctor and local authorities immediately. Excessive alcohol use has been associated with many diseases. And it is no different with lung cancer. Try to moderate your use of alcohol. No more than 2 drinks per day for men or 1 drink daily for women. And if you are a senior, then limit your alcohol intake to 1 drink a day irrespective of your gender. It may be even better to abstain from alcohol entirely. Although some alcoholic beverages have been associated with certain health benefits, it does not warrant alcohol consumption especially if you are a non-drinker. The health risks increase substantially if you are a smoker and alcohol drinker. 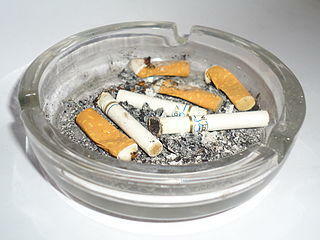 Smokers also tend to smoke more cigarettes while drinking thereby compounding the situation even further. Similarly your judgement is impaired with alcohol consumption and you may consume significantly more alcohol than you originally intended to. Try to practice moderation at all times – both with cigarettes and alcohol. Never binge drink. It is more harmful than having the odd drink or two everyday. Your risk of developing lung cancer is tied in to your general health status, even if you are a non-smoker. The healthier you are, the lower your risk. And keeping healthy starts with the right diet. Eat healthy foods like fresh fruit and vegetables daily. It should comprise a larger part of your meal portion. There are range of nutrients in fresh fruit and vegetables that are not easily sourced in other foods. Some of these phytochemicals have been shown to be helpful in cancer prevention. But do not rush out to stock up on nutritional supplements. Many of the ‘miracle’ nutrients touted by the health product industry as being cancer-fighting agents have never proven to be so in clinical studies. In fact overusing some supplements have shown to increase the risk of lung cancer as is the case with beta-carotene supplements. Instead try to source what you need from healthy foods. While supplements are not entirely bad for you, it often cannot match the nutritional benefit of eating right. And if you are taking supplements, do not overdo it with mega doses. Exercise is known for a host of health benefits and this extends to cancer as well. The most important aspect is frequent exercise – working out at least 3 to 4 times for a total of 150 minutes. 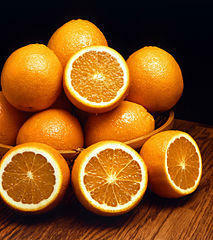 It helps you body in numerous ways to fight off cancer. One way is that regular exercise keeps your immune system healthy which is your body’s first line of defense against cancers. You are more likely to eat right and stay away from bad lifestyle habits like smoking if you exercise regularly and stay physically fit. Exercise also helps you control your body weight. And cancer risk is linked to body weight. People who are overweight and particularly those who are obese have a higher risk of cancer than people with a normal body weight for their height and age. Controlling your body weight is also dependent on a proper diet. Fresh fruits and vegetables are not only rich in protective chemicals against cancer, these foods are also low in fat and have less calories ounce-for-ounce than many other foods. This helps with preventing weight gain and even losing excess weight.